You'll be £14.99 closer to your next £10.00 credit when you purchase The Teutonic Knights. What's this? The Teutonic Knights were powerful and ferocious advocates of holy war. Their history is suffused with crusading, campaigning and struggle. Feared by their enemies but respected by medieval Christendom, the knights and their Order maintained a firm hold over the Baltic and northern Germany and established a formidable regime which flourished across Central Europe for 300 years. This major new book surveys the gripping history of the knights and their Order and relates their rise to power; their struggles against Prussian pagans; the series of wars against Poland and Lithuania; the clash with Alexander Nevsky's Russia; and the gradual stagnation of the order in the fourteenth century. The book is replete with dramatic episodes - such as the battle on frozen Lake Peipus in 1242, or the disaster of Tannenberg - but focuses primarily on the knights' struggle to maintain power, fend off incursions and raiding bands and to launch crusades against unbelieving foes. And it was the crusade which chiefly characterised and breathed life into this Holy Order. William Urban's narrative charts the rise and fall of the Order and, in an accessible and engaging style, throws light on a band of knights whose deeds and motives have long been misunderstood. 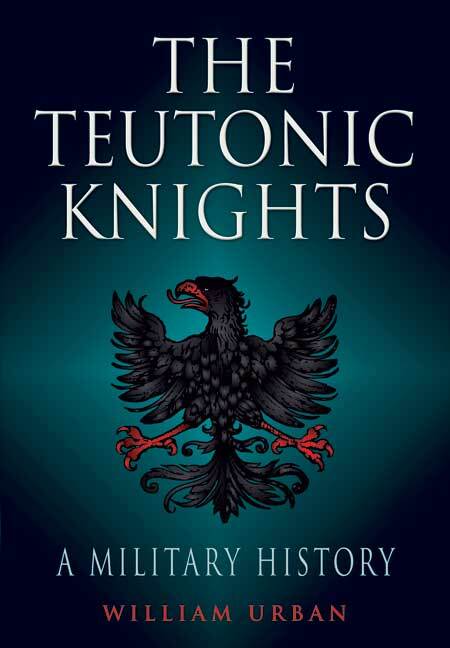 Feared by their enemies, but respected by medieval Christendom, the Teutonic Knights maintained a firm hold over the Baltic and northern Germany and established a formidable regime which flourished across Central Europe for 300 years. The knights were ferocious advocates of holy war and their history consists of crusading - indeed, it was the crusade which chiefly characterised and breathed life into this Holy Order. In his book - first published in 2003, republished in paperback in 2011 and reprinted in 2015 and now again in 2016 - the author examines the history of the knights and charts the rise and fall of the Order, throwing light on a band of knights whose deeds and motives he argues have long been misunderstood. He relates their rise to power, their struggles against Prussian pagans, the series of wars against Poland and Lithuania, the clash with Alexander Nevsky's Russia and the gradual stagnation of the Order in the 14th century. The book features some dramatic episodes - such as the battle on frozen Lake Peipus in 1242, or the disaster of Tannenberg - but focuses primarily on the knights' fight to maintain power, fend off incursions and raiding bands and to launch crusades against unbelieving foes. It includes a couple of maps, some monochrome illustrations, appendices listing major figures in the history of the Teutonic Order and the grand masters to 1515, a bibliography and an index. This is an excellent study of an important and often misunderstood military order. We now know more about the Crusades than ever before, thanks in part to the newly unearthed archives from the former Soviet Union. The story of the Teutonic knights is one such example. Founded in Acre in 1198, the original knights were more concerned with saving lives than ending them, founding a hospital for injured soldiers. This is a fascinating study.